Raleigh Regional Property Solutions can perform an appraisal to help you appeal your valuation! If you live in Franklin County chances are you have gotten a copy of your new 2018 property valuation in the mail this week. If you have a Question about your valuation or would like to appeal your valuation, please let us know, we can help! What if I disagree with the Revaluation value of my property? Of course, no matter how thorough a revaluation may be, there are still some instances when a property owner has information that may influence the value of their property. For that reason, an appeal process exists to assist property owners in presenting their concerns for consideration. The appeal process begins with an Property Review. During this phase, county staff will meet with you to gather your concerns, confirm property details and review with you how the property value was determined. Following the Property Review, if you believe the county has unfairly valued your property, you may appeal to the Franklin County Board of Equalization & Review. This is a formal appeal to a quasi-judicial board. Determinations of the Board of Equalization & Review, can be appealed to the Property Tax Commission (state level) and ultimately to the NC Supreme Court if desired. How does someone initiate the Appeal Process? 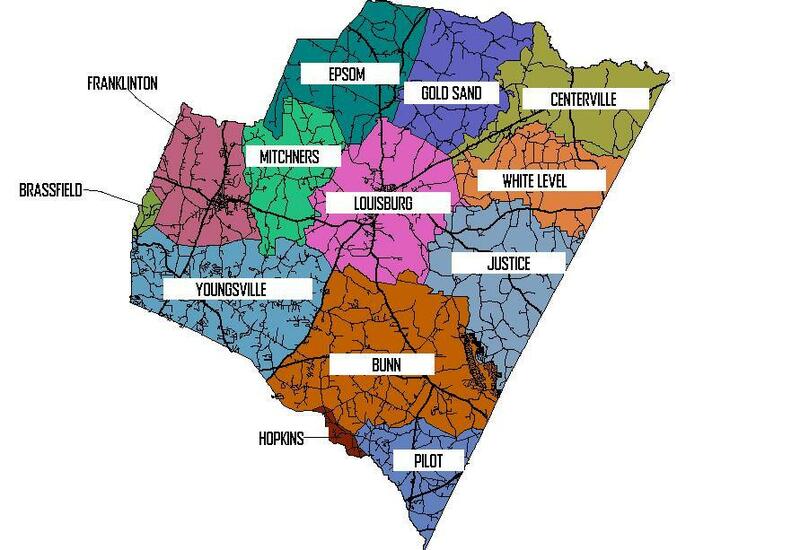 Our appraisal team divides the county into approximately 4,400 neighborhoods. These neighborhoods are groupings of properties that have many of the same characteristics and react to the market in similar ways. The most typical example would be a subdivision with homes of similar age, style and quality of construction, which have lots selling for comparable prices. We then analyze all sales in the county to establish what the land value should be in each neighborhood. The land values are then subtracted from recent package sales (house and lot) to determine the value of the buildings. That helps us establish the Schedule of Values(SOV). The SOV contains the rates to be applied to land and buildings to estimate the market value of all properties in the county. Call us today for more information! Contact us about an appeal!